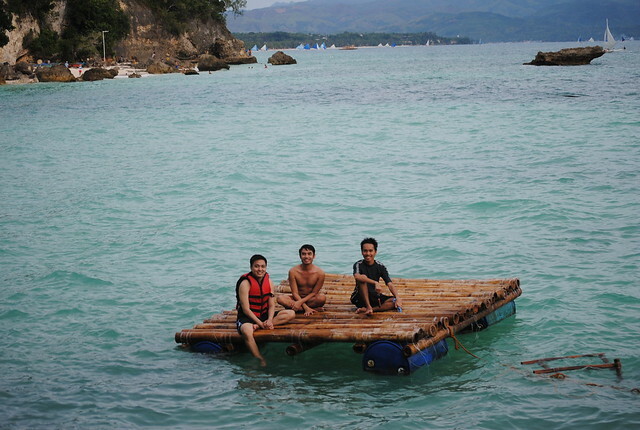 Boracay is an island with many surprises. Its long stretch of white beach comes with plentiful of things and happenings to do. You’ll never run out of things to do, places to explore and food to try. You’ll discover something new in every visit that you’ll have. This happened to be true when I visited the island again. Although the plan was just to relax inside our hotel room, I asked my companions if we can visit Spider House Boracay, a place in the island that I had just recently discovered wherein we could hang out and watch the sunset or if we are brave enough for some exciting activity, a deck is built wherein guests can dive straight into the sea. We walked towards the end side of White Beach Boat Station 1 and looked for the resort. I checked my Google Maps and it says it is 5 minutes walk from our current location. We saw a cliff side trail leading to the other side. Curious as we were, we followed the path and a secluded beach unveiled upon us. A serene and peaceful beach, we reached Diniwid Beach. I didn’t know that such beach exists next to the famed White Beach. This part of the island is less populated. 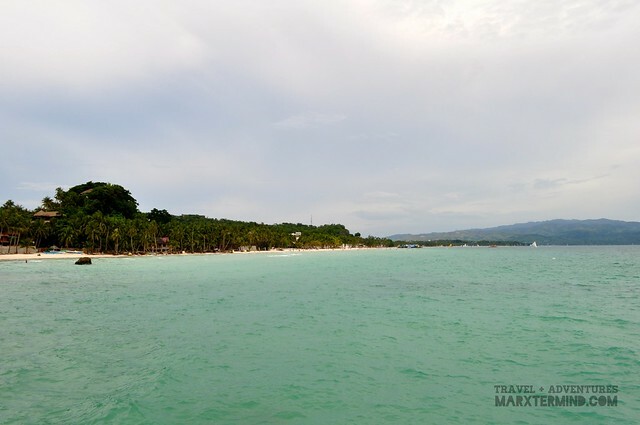 This beach is home to few Boracay resorts. It is perfect for those who want some privacy and looking for serenity but still just a few minutes walk to all of the happenings and activities at the heart of the island. We continued walking until we reached the end side of the beach. But for us not to waste our time navigating the map for the location of the place that we were looking for, I asked a lady where the resort is. She told us to follow her and so we did. We passed through a narrow path before we reached our destination. We went to its restaurant and looked for a table to settle. Luckily, a group left few minutes after we had arrived. We then ordered refreshment. I had mango shake! The sky was cloudy; there’s no sign that a clear sight of sunset was going to be seen. The waves were quiet strong. My companions were still deciding if they’d dip into the water. 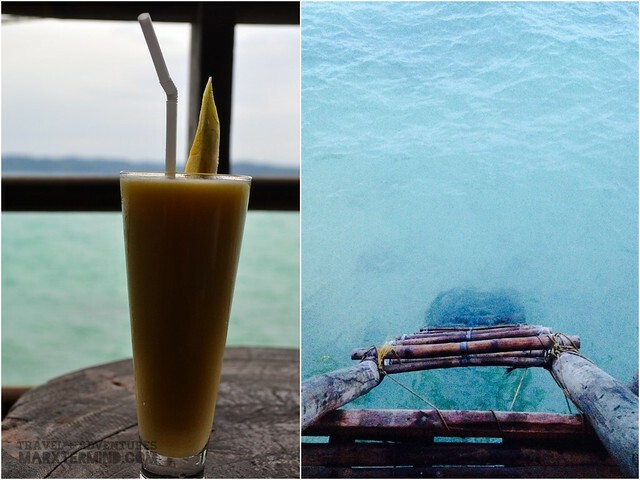 Since I was really eager to get into the sea, I jumped off the deck without any second thoughts. It wasn’t that deep; I can actually feel the seabed. It was such a joy to jump off the platform several times – and it’s free! There’s no entrance fee to get to the resort. Just order something and you can already enjoy the view and the few things that can be done in the area. When my friends realized that it’s safe to swim. They followed and we went to the raft altogether. 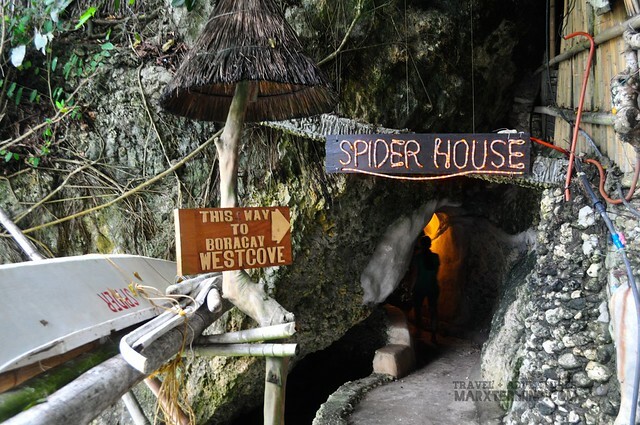 Spider House Boracay can be found along the base of the mountain directly over the water on Diniwid Beach. It was said that this resort was originally a family home; but a time came in that the family decided to open the house to also let everyone enjoy its charm. 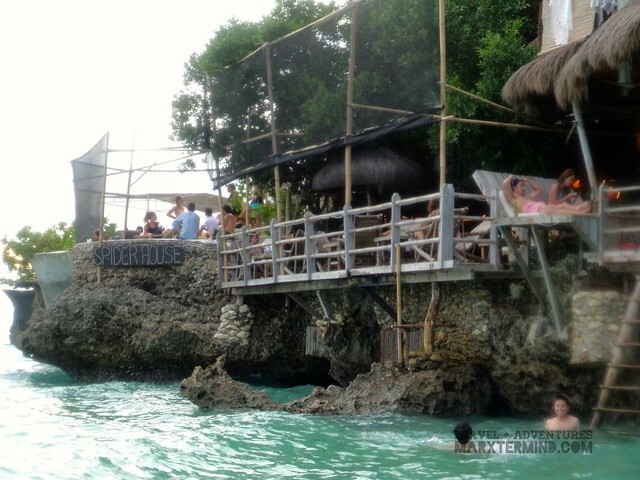 That was how Spider House Boracay born. The resort is built mainly with bamboo and wood which blends naturally with its surrounding. The resort currently has 12 rooms that are all unique. Each room gives a spectacular view of the sea. Its local native look that brings back how things were in the island back in the beginning makes this resort so much fascinating and appealing. 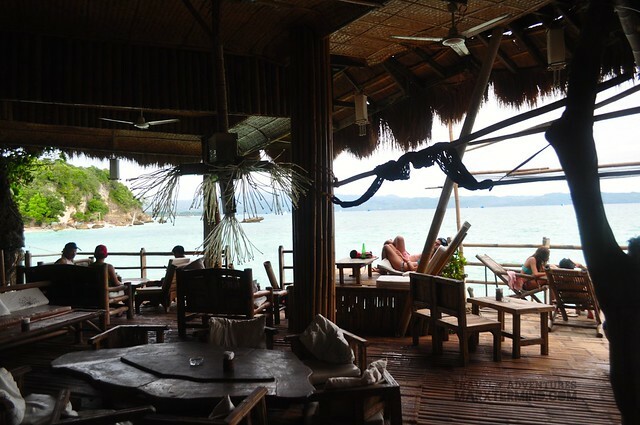 Its look really entices people to come in, relax and enjoy the stunning view of the sea. It was already nightfall when we left the resort. It just shows that we had really enjoyed our time there. It is a great place in the island to end the day by just hanging out and swimming at the sea. 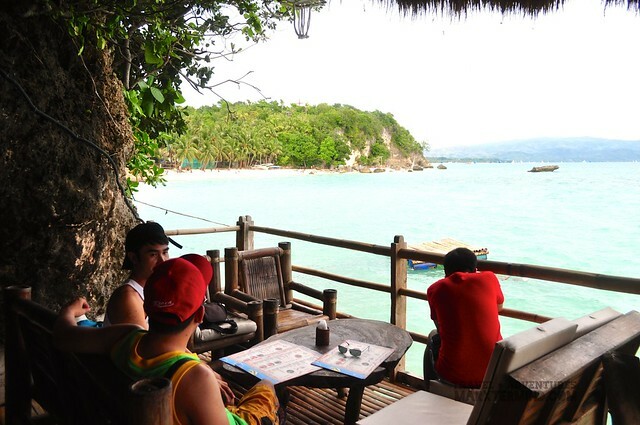 Now, I finally found a new favorite place to visit when in Boracay. Definitely, it’s a nice place to unwind and be away from the noise. Nice place to visit. 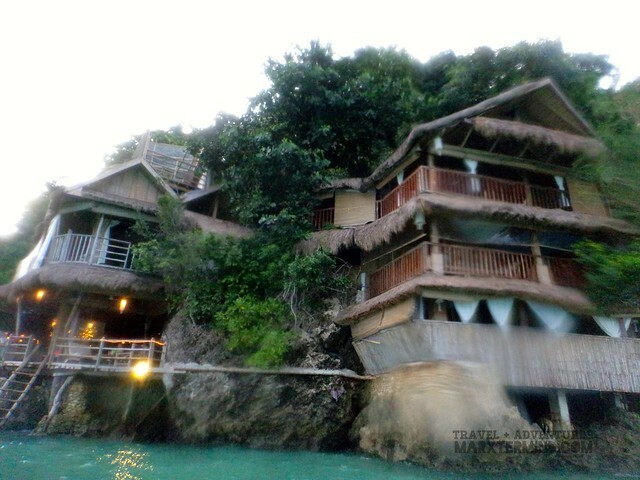 I hope someday I could buy a real estate property in Boracay as one of my investments. Yes it’s really awesome and definitely you’ll find something new in every visit. I personally visit this island before tour west coast with some friends. This Island and its beaches have got awards from numerous travel publications and agencies. 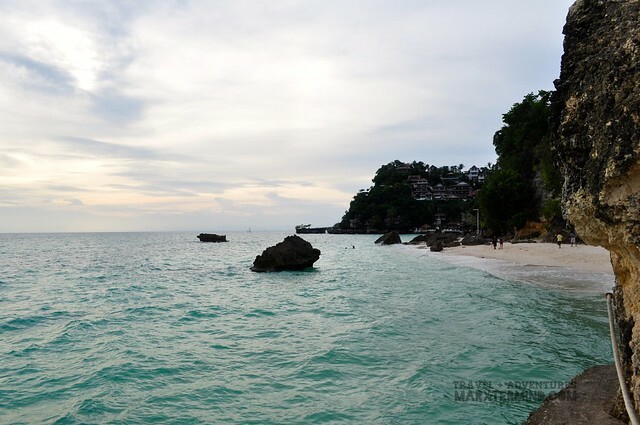 We stayed at Boracay Regency Beach Resort & Spa for three days and visited to this beach. Boracay white beach is merely another crowded tourist beach. 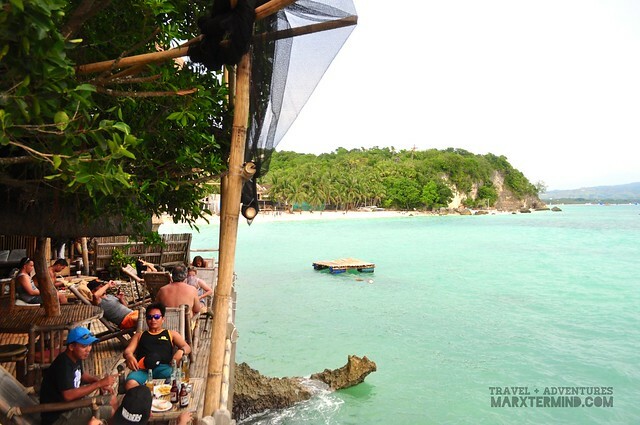 Boracay is best known for its white sand and location.